At the neighborhood. The letters say “Sea scouts”. There is a famous novel “A mystery man and the boy scouts of detectives” who try to stand against a mystery man and the sound of “scouts” reminds me about those boy scouts. Anyway, don’t you think its terrific if you could have such a shed in your childhood? 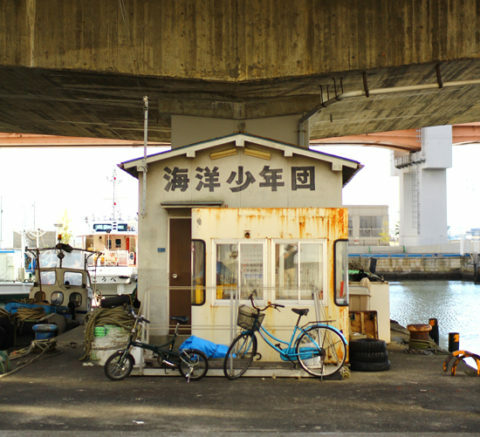 Photo: “Sea scouts HQ (probably…) in Port of Kobe.